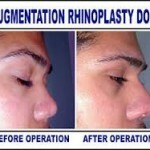 There are several different types of dermal fillers that are not only used in non-surgical rhinoplasty, but also in other cosmetic surgical procedures. It is up to the surgeon’s discretion up to which type of dermal filler material will the patient most benefit from. Before the doctor will be able to reach or finally decide up to which dermal filler will be used during non-surgical rhinoplasty, the surgeon will first discuss and weigh each dermal filler’s advantages and disadvantages, including how much does each dermal filler costs. Calcium hydroxylapatite-based filler is another form of dermal filler that is commonly used for procedures of soft tissue augmentation. 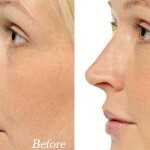 This form of dermal filler is considered to be the heaviest of forms of dermal fillers. Calcium hydroxylapatite-based fillers is made from natural substances found naturally in human bones. This type of dermal filler is a mineral compound which is usually used in filling moderate to severe creases in the facial area. And sometimes, calcium hydroxylapatite-based fillers are also used to improve contours of the face. How Does Calcium Hydroxylapatite-Based Filler Work? Calcium hydroxylapatite-based fillers are composed of calcium hydroxylapatite or CaHA beads that are suspended in a carrier, a water-based gel. This form of dermal filler works by stimulating more collagen production, which can result in giving more volume to the facial area or to the nose where it is injected. Just like the hyaluronic acid-based fillers, the calcium hydroxylapatite-based fillers are believed to be very safe, and complaints of complications and other unwanted side effects are very rare. In an event the patient is not satisfied with the results of the calcium hydroxylapatite-based filler, there is nothing the patient can do. The patient should wait for the calcium hydroxylapatite-based filler effects to run its course, unlike the hyaluronic acid-based filler that can be given with another medication to help in quickening its effects if the patient is not satisfied with its effects. How is Calcium Hydroxylapatite-Based Filler Administered? 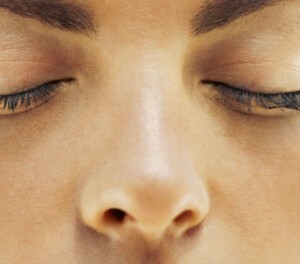 A fine gauge needle is used to administer this form of dermal filler. Topical anesthetics or local anesthetics are applied to the skin prior to administration, since the calcium hydroxylapatite-based filler does not contain lidocaine, unlike some forms of dermal fillers. Just like the hyaluronic acid-based dermal filler, the calcium hydroxylapatite-based filler effects are not permanent. 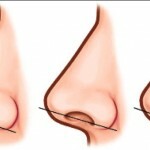 It can only last up to 12 months, and after 12 months, the original appearance of the patient’s nose or any other facial area returns back to normal.